Packaging: Wrapped with plastic film then wooden or metal pallet or as your request. 358 Fence also called High Density Security Fence. It always be used as Perimeter Security Fence. The small apertures of 358 Security Fence make it very difficult for would-be intruders to gain a finger or toe hold for climbing, and the apertures also prevent the use of most types of cutting tools. 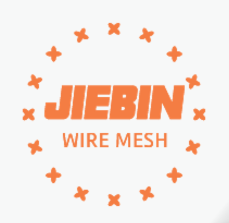 Hebei Jiebin supplies both posts and 358 Welded Mesh Fence Panels in a galvanised and polyester powder-coated finish in any of a wide range of standard RAL colours, with non-standard colour available to order. There is standard 2D type Anti Climb Fence, 3D type V Bends Security Fence and 2D plus Additional wire type- add one horizontal wire every mesh 11. 2D type is the standard and most popular kind. Other sizes 358 Wire Mesh Fence indent. Looking for ideal Perimeter Security Fence Manufacturer & supplier ? We have a wide selection at great prices to help you get creative. All the High Density Security Fence are quality guaranteed. We are China Origin Factory of High Security Mesh Fencing. If you have any question, please feel free to contact us.